South Sudan refugees await transportation from a transit centre in the town of Koboko. File photo. The United Nations will, at the request of government, start conducting fresh registration of all refugees in the country. According to Rosa Malango, the UN Resident Coordinator, the globally acclaimed UNHCR biometric system will be used to verify the refugee population. The verification process comes at a time when the Office of the Prime Minister (OPM) has been hit by a scandal of abuse of funds for refugees. But Malango didn’t reveal when the registration will start. She said the UNHCR system ensures that a refugee cannot be registered twice as it captures a wide range of features, including 10 fingerprints and two iris scans. The pressure to conduct fresh registration of refugees is informed by allegations that the country has ghost refugees. Uganda is said to have about 1.6 million refugees but the figure is being contested. “It is possible that the figures are inflated. Some refugee staff inflate the numbers and the money is shared among themselves,” a concerned envoy revealed. The UN and other major donors are asking government to take immediate action on the culprits. “We are committed to ensuring that the culprits are brought to justice. The UN has no space for corruption, fraud, trafficking of women and girls,” Malango said. She added that their deep concern about the allegations led them to take action. “The UN System in Uganda brought these concerns to the attention of the Prime Minister. We called for investigations into the allegations by the government. In addition, we raised these concerns with our respective headquarters,” Malango revealed. Uganda has an open-door policy towards refugees and the country hosts refugees from 12 countries, with majority coming from Somalia, South Sudan and DR Congo. Disaster Preparedness minister Musa Ecweru said the Police are investigating millions of dollars allegedly swindled by OPM staff. File photo. 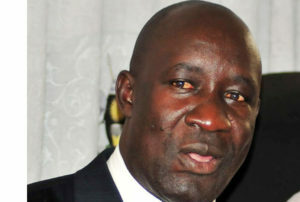 State minister for Disaster Preparedness and Refugees Musa Ecweru said the Police have embarked on investigating millions of dollars which were allegedly swindled. He said some officials implicated in the alleged scam have already been interdicted. They are accused of inflating refugee figures and diverting funds meant for refugee welfare. The affected officials include Francis Nkwasibwe, Apollo Kazungu, Walter Omondi and John Baptist Sentamu. 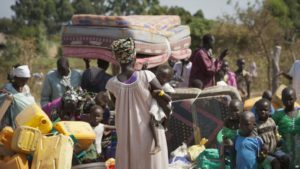 Donors, especially European Union, UK and US are threatening to withdraw aid to refugee programmes in Uganda. German Ambassador to Uganda Dr. Albrecht Conze asked the NRM government to create efficient systems to track the disbursement of funds for refugees. Conze added that they could stop funding refugee programmes in the country if systems to curtail misuse of funds are not put in place.